We were let down by a company and phoned Lily's Inflatables as soon as I could. The bouncy castle arrived within 1 hour of calling. It made our little boys party complete and couldn't of asked for a better service. Definitely recommend to anyone. Best of all, we got the Paw Patrol bouncy castle we wanted for our sons first birthday. Amazing! Great service. Booked for my daughter's party only 2 days before the event. Excellent communication, and delivered and collected on time. Would definitely recommend! Hired the adult bouncy castle for my wife birthday party at the weekend and we were not disappointed. The service from the time of booking through to the collection of the castle was very professional and the castle itself was excellent. Would i use again, most definitely and i would certainly recommend. 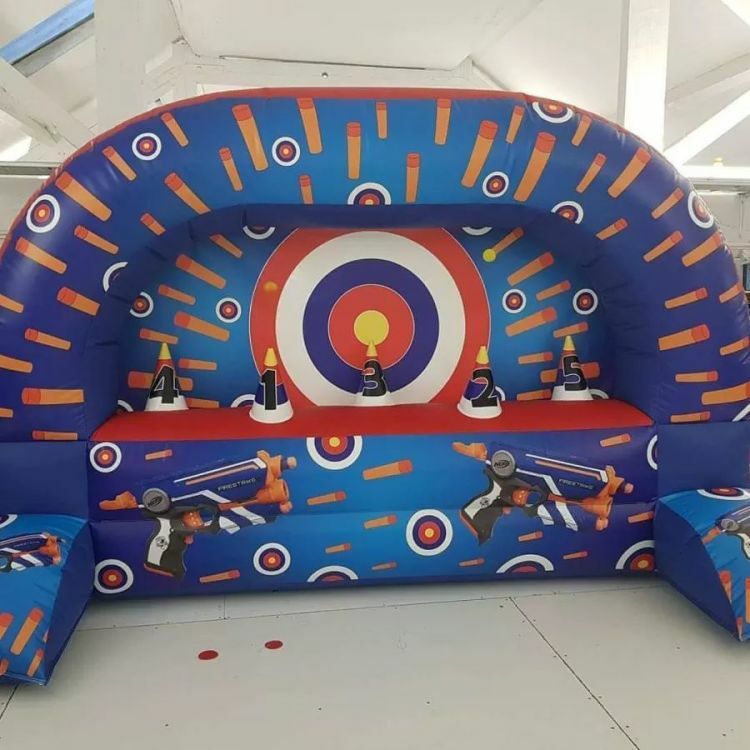 Our Inflatable Nerf Wars Game is Available for hire in Suffolk,Cambridge Newmarket, Mildenhall, Burwell, Exning, Soham, Ashley Green and surrounding areas. 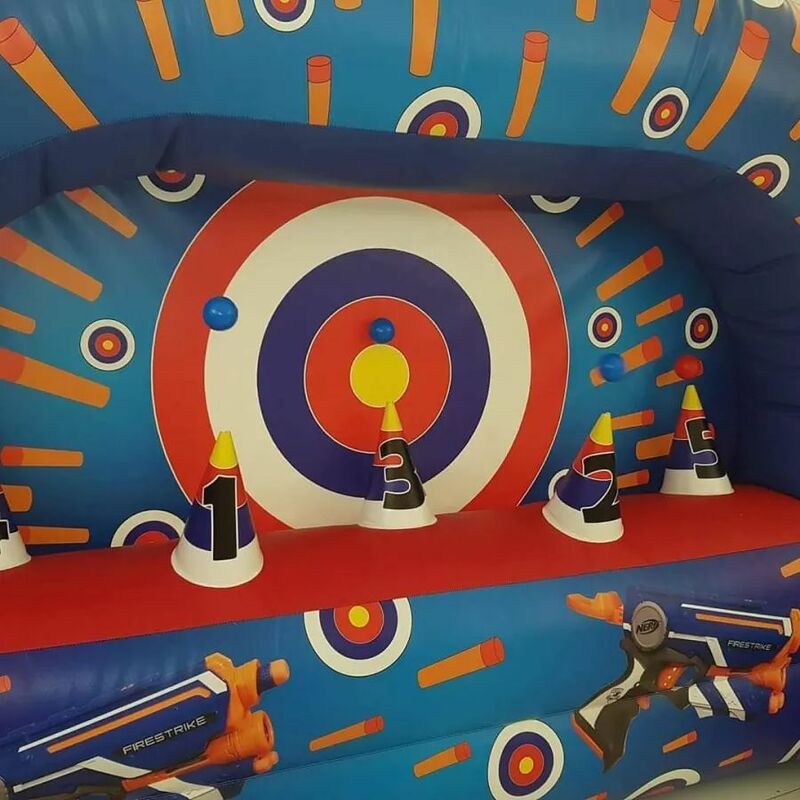 At only 7ft High our Nerf Wars Game is guaranteed to be a huge success for those hosting parties where space and Height is limited. A fantastic addition to hosting a , Birthday Party, School Fete. Fund Raising Event or Corporate Function.